Coil Feed Systems for Automotive Parts consist of Decoiler Straightener NC Servo Roll Feed for Coil Feeding Line are therefore able to work thickness from 0.6 mm to 6.0mm with width that range from 70 to 1500mm and weight up to 10tons depending on the needs of the specific customer.Various kinds of materials can be machined, from soft ones such as aluminium and alloys, to hot and cold-rolled materials and carbon and stainless steel, and to high-strength materials and lamination steel. 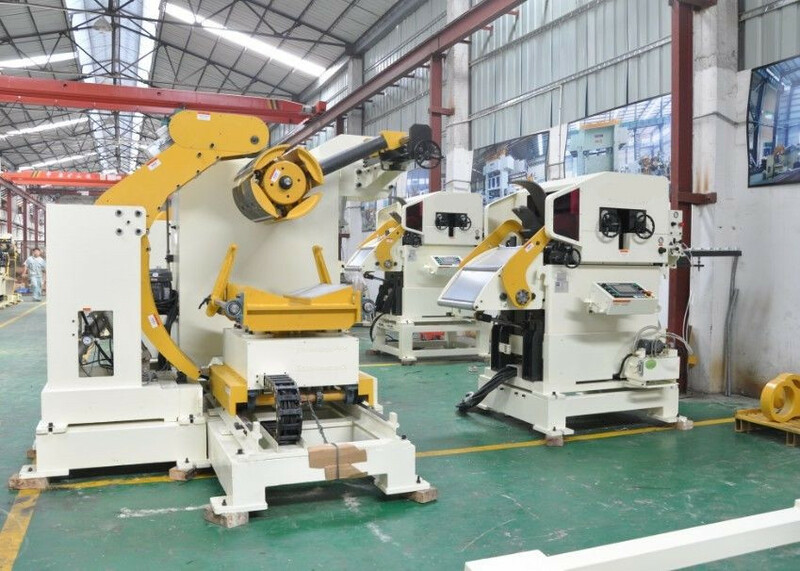 Compact Feed Lines, with Decoiler , straightener and feeder machine in one combination unit. 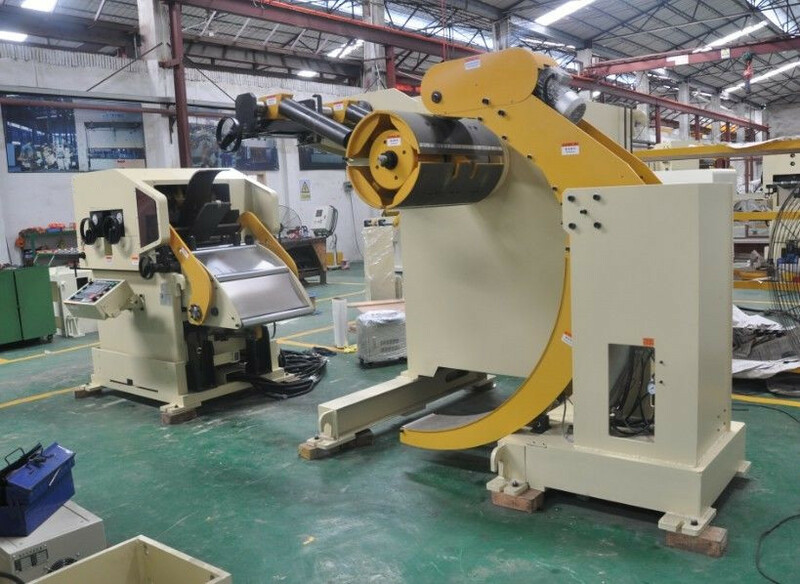 It used to uncoiling metal strip from coil stock, straightening it to required flatness and feed it to press machine for stamping process.Thanks to a well-knit body and advanced mechanical structure, it can easily handle coil stock up to 10tons. With YASKAWA servo motor and drive and MITSUBISHI PLC, the feeding line can achieve the very accurate feeding ±0.15mm. Moreover, the whole compact feeding system is only 4.5m length, which will save a lot of workspace for your press workshop. Automatically lift the coil to the mandrel of the Decoiler Machine with loading coil car. And then the mandrel can expand and clamp the coil. e) Mandrel hydraulic expansion system. The hydraulic station provide power to drive the hydraulic cylinder to expand & draw back the mandrel to clamp coil or release the coil. f) Press arm device to hold the strips, preventing coil loose. 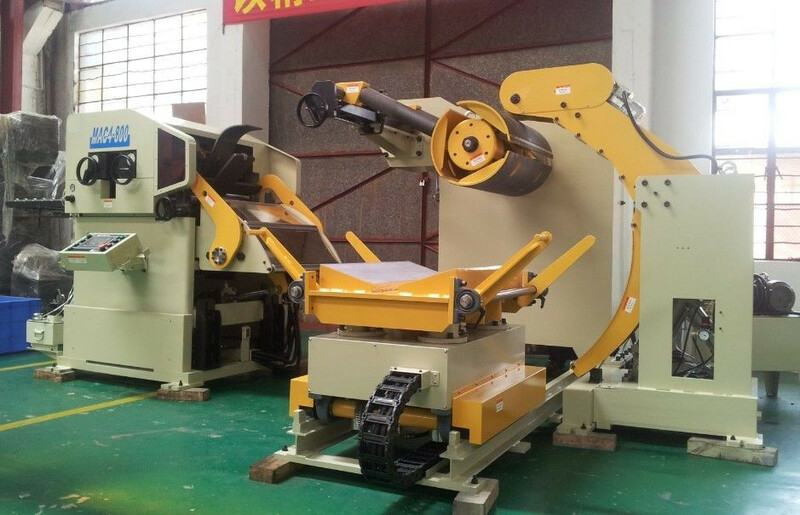 Further more, the press arm equipped with a PU roller to hold the strips, don`t scratching strip surface. g) Support arm device. Driven by hydraulic-cylinder, it was use to guide and support strips, Further more, several sets of rollers installed in the device, and all rollers were chrome plated, the surface is very smooth, preventing scratching material surface. h) Limit arm device, clamping coil in width direction, preventing coil collapsing when coil were too narrow. 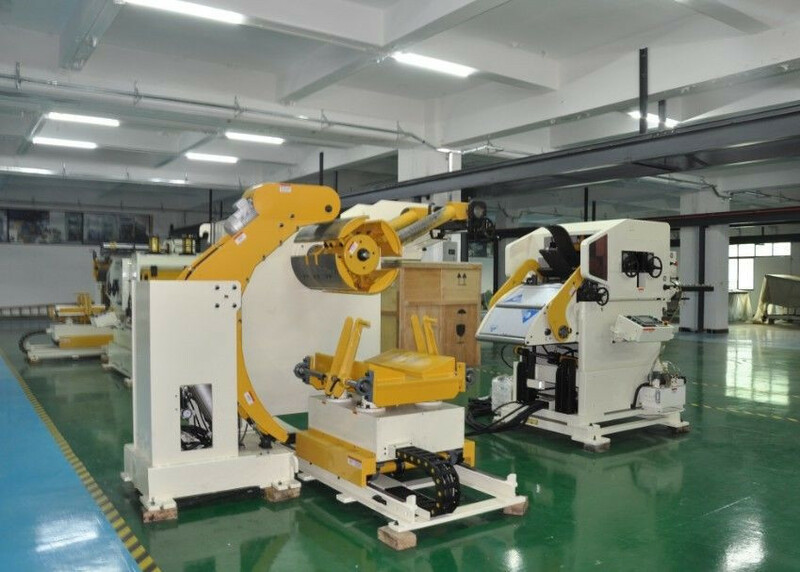 Further more, the width between two back gauge arms were designed adjustable by operate the manual wheels, coil width range is 70mm-1000mm. i) Machine equipped with hydraulic station, providing oil pressure to drive the mandrel expansion & contraction and hydraulic cylinder. All the roller material is GCr15, after quenched, high frequency annealing, the hardness is HRC58°-60°and then precision polishing. g) Gear: Material adopted 40Cr. The center quenched, teeth high frequency annealing and precision polishing. k) Feeding control: get signal from press encode or cam box, and controlled by PLC and display on HMI. m) Coil Inlet device. It equipped with chrome-plated rollers and guided strips to go through the straightening part. n) Straightening device. It was mainly to press and flat coil head and end of the coil. Usually, the coil head is curvy, if without this device, the material is hard to go through the straightening part. 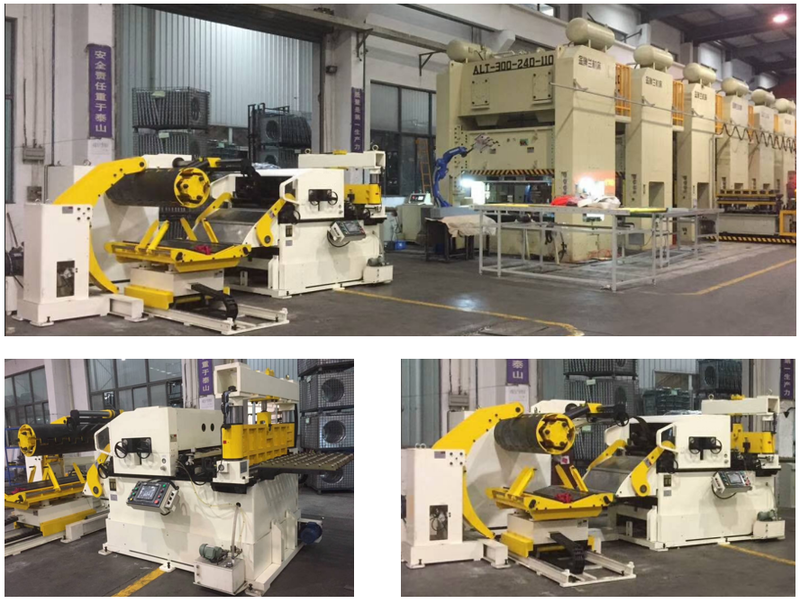 But with this device, when the strips comes then entrance of the straightening part, the tip flatness device and press and flat the coil head and go through straightening device smoothly. o) Handwheel: The operator crank the manual handle to adjust the accuracy of the straightening part. p) Outlet bracket: assistant support material device. It was mainly used to guide strips from straightening part to press machine. q) Control box. It was mainly used when coil run out and need to change a new coil and let the strips go though the straightening part at manual model. r) HMI. The operator operate the machine and set data in this device. s) Worm gear screw jacks device. It main used to adjust the height of feeding line. MFL4 Coil Feed Systems for Automotive Parts is working in our customer's factory. 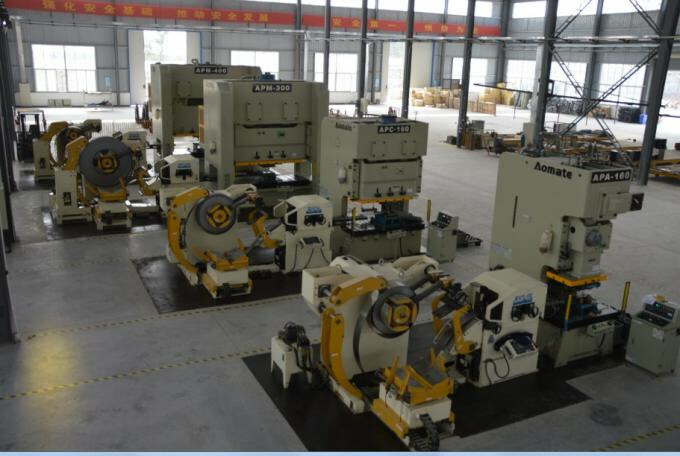 Coil Feed Systems for Automotive Parts for making the bracket coil sheet feed line. 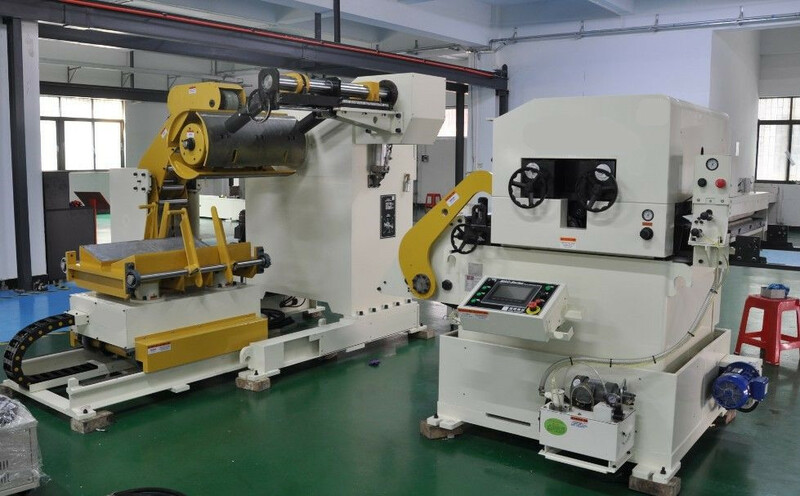 This machine is workinng in one of our customer's factory, they produce U type parts with Coil Feed Systems for Automotive Parts. Looking for ideal Coil Feed line Manufacturer & supplier ? We have a wide selection at great prices to help you get creative. All the Press Feed System are quality guaranteed. We are China Origin Factory of Uncoiler Straightener Feeder Compact. If you have any question, please feel free to contact us.